Copac does not contain the whole catalogue, it only contains records for Russian and East European Studies (REES) and Latin American materials. The REES records relate to the COCOREES project and the subsequent CoFoR project, improving access to Russian and East European Studies materials. The Latin American collection contains materials from and about all countries of Latin America, the greatest number of records covering Argentina, Brazil and Mexico whilst the Uruguayan and Chilean holdings are among the most extensive in the UK. The principal languages are Spanish and Portuguese. The subjects reflect the Latin American teaching and research strengths within the university which cover most of the humanities and social sciences: art history, economic and social history, history, language, literature and politics. It contains a significant collection of reference works: bibliographies, encyclopaedias, dictionaries and atlases. Minor specialities have been developed in Latin American cinema, Brazilian chapbooks and Mexican codices in facsimile. Can I obtain items via Inter Library Loan? Yes, except for certain items in the Special Collections which are not available for loan. You have to request an inter-library loan via a library of which you are a member. Talk to your own library staff about whether they think the document you need is likely to be available for loan and for advice on making an inter-library loan request. How do I find primary source material held at this institution? 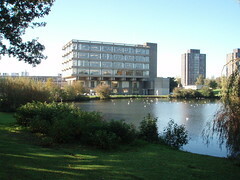 Visit the University of Essex's contributor page at the Archives Hub for information. Zatemnoy noch'iu den' vstaval : vospominaniia starogo bol'shevika / D.I. Grazkin.